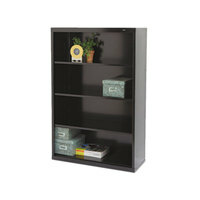 We carry office bookcases with varying quantities of shelves, so you can choose the option that best suits your needs. 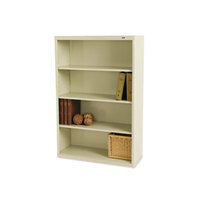 Similarly, you can find bookshelves in different shapes, sizes, and colors, making it easy to match the layout and decor of your office. 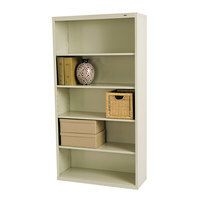 Bookcases can even be used in lounge spaces, reception areas, and classrooms to add valuable storage space and make the room feel homier. 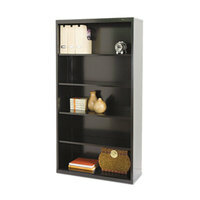 Also make sure to check out other great items from Alera, Bush Business Furniture, Hirsh Industries, HON, Linea Italia, Mayline and Safco. 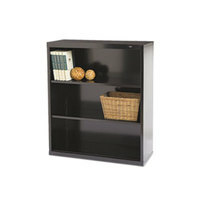 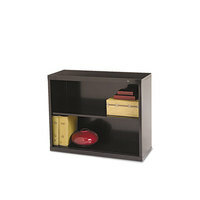 Tennsco B78PY Putty 6 Shelf Metal Bookcase - 34 1/2" x 13 1/2" x 78"
Tennsco B30BK Black 2 Shelf Metal Bookcase - 34 1/2" x 13 1/2" x 28"
Tennsco B30PY Putty 2 Shelf Metal Bookcase - 34 1/2" x 13 1/2" x 28"
Tennsco B42BK Black 3 Shelf Metal Bookcase - 34 1/2" x 13 1/2" x 40"
Tennsco B42PY Putty 3 Shelf Metal Bookcase - 34 1/2" x 13 1/2" x 40"
Tennsco B53BK Black 4 Shelf Metal Bookcase - 34 1/2" x 13 1/2" x 52 1/2"
Tennsco B53PY Putty 4 Shelf Metal Bookcase - 34 1/2" x 13 1/2" x 52 1/2"
Tennsco B66BK Black 5 Shelf Metal Bookcase - 34 1/2" x 13 1/2" x 66"
Tennsco B66PY Putty Metal 5-Shelf Bookcase - 34 1/2" x 13 1/2" x 66"
Tennsco B78BK Black 6 Shelf Metal Bookcase - 34 1/2" x 13 1/2" x 78"
Office bookcases can go a long way towards improving the overall look and tidiness of your office space. 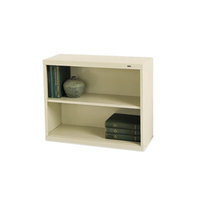 Available in several different colors and styles, these items are great for displaying books, art, or other objects. 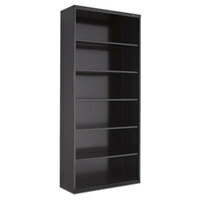 So if you’re searching for the perfect way to showcase your collection of reading materials, consider using a bookcase. 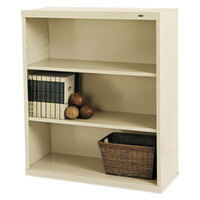 To explore related items, check out our binders, dividers, and desk lamps. 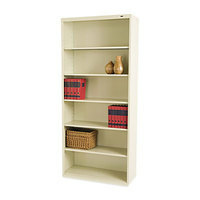 If you're wondering where to buy tennsco bookcases, we have a large selection of tennsco bookcases for sale at the lowest prices.